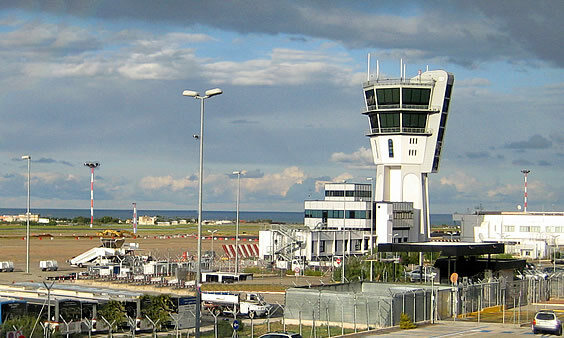 If you are new to Bari and have some considerable amount of heavy luggage on you it is best to take a taxi upon leaving the airport. Bari Airport has plenty of taxis to take you straight to Bari City. A taxi, unlike a bus, will take you to the very place you want to go. The 11 km journey to Bari City lasts about 25 minutes by taxi and which is briefer compared to using a bus. The average cost for the trip is about €20 but which is subject to a hike during Sundays and public holidays, plus if you have extra heavy baggage or you are in the company of more than four passengers. 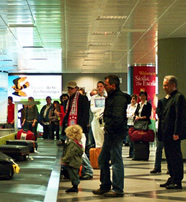 The taxis are located right outside the Arrivals Hall. However, not all taxis at Bari Airport can be trusted; some private taxis quote unusually cheap fares than the company taxis but they increase this amount upon arriving at your destination. It is therefore best to use the recognized taxis. At the Karol Wojtyla Airport they are usually yellow or white in color and have the taxi sign on the roof plus an identification number on the driver’s door. Even so, ensure that the taxi is in good working condition and that the meter is running. If the meter is not operational, talk about the price with the driver before boarding it.